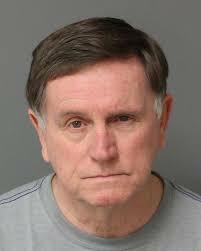 The former Wake county register of deeds has been indicted on embezzlement charges after over a 9 month-long investigation into the disappearance of around $2.3 million over a period of nine years. Laura Riddick, age 51, is charged with six felony counts of embezzlement by a public official totaling around $926,615. The indictment documents charge that she embezzled funds between August 2010 and January 2017. Four employees at the Register of Deeds Office are accused of embezzling $1.13 million over the past six years. On Tuesday, the Wake County grand jury delivered indictments on Riddick, Troy Ellis, Veronica Gearon and Murray M. Parker. That same day, a $700,000 Deed of Trust was placed on Riddick’s home in Raleigh as part of a pretrial release bond according to documents filed with the register of deeds office. 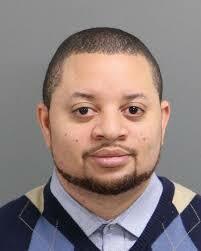 On Wednesday morning, Riddick appeared before a magistrate at the Wake County Detention Center. 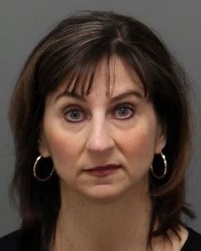 Superior Court Judge Rebecca Holt set a bond of $700,000 and Riddick was released after being ordered to surrender her passport to Wake County Clerk of Court. Riddick was the register of deeds for 12 years, starting in with her first election to the post in 1996. On April 1, 2017, Riddick resigned indicating health issues were the reason. Riddick’s resignation came one day after the Wake DA and the State Bureau of Investigation announced they would be investigating the money missing from the Register of Deeds Office. Before becoming the Wake County District Attorney, Lorrin Freeman was the Wake Clerk of Court and her offices resided in the same building as the Register of Deeds. It is unclear how well the two knew each other, however, Freeman and Riddick were billed together at a 2011 meeting of the Wake County Real Property Lawyers Association. Riddick is married to Matthew Eisley, a former News and Observer reporter and a communications strategist with the Smith Anderson law firm. Eisley was offered a job by the UNC Board of Governors as a VP of Communications. His alma mater, the News and Observer, reported that he was hired in January of 2017 and was offered a salary of $175,000. However, it appears he either never started in the roll or he resigned from that position rather quickly. His LinkedIn resume shows he is currently “self-employed” as an independent communications consultant. Troy Ellis, is accused of embezzling $50,000. The indictment alleges Ellis took the money between the dates of December 5, 2015, and February 20, 2017. Ellis worked for the office as a technician beginning in 2010. Ellis was fired on April 5th, 2017 after confessing to investigators and Wake County District Attorney Lorrin Freeman about taking the money. 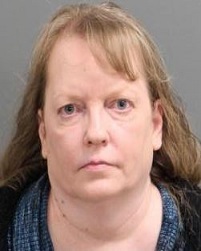 Veronica Gearon, age 52, is accused of embezzling $80,950 between 2011 to 2016. Gearon was fired on December 7th, according to the deputy register of deeds, Luther Snyder. Over several days in January 2017, some Register of Deeds staff members conducted an ad hoc audit and investigation of suspect transactions. Staff members determined that money was unaccounted for, calculated amounts missing, collected evidence, and presented a report to Wake County management at the end of January. The subsequent investigation by official authority supplied additional information and confirmed that the gravamen of what was reported in January was correct. If this ad hoc audit had not been initiated money probably would still be walking out the courthouse door today. What was done in the past is in the past. As long as I am here this past shall not be prologue. Yesterday’s indictments are exemplary of a statewide problem. Theft by public officials occurs far too often. We must be vigilant in every city, town, school system and county and step up efforts to audit, verify and root out dishonesty. Gilliam was appointed in April following the resignation of Laura Riddick. In January, “irregularities” in cash flow were detected by employees in the Register of Deeds Office during an overhaul of cash-handling processes. At that time, Wake County Manager Jim Hartmann, who resigned in late October, decided to bring in county auditors to perform an audit. Initial reports earlier this year pegged the missing amount at around $600,000 but that number quickly swelled as law enforcement officials from the State Bureau of Investigation began an official investigation early March. In 2015, a 39-year-old computer system administrator named Nilesh Tailor plead guilty to illegally accessing his boss’s emails for over two years. His boss was Laura Riddick. Tailor had been auto-forwarding all of Riddick’s emails to a private Yahoo email account. secretly monitoring the criminal investigation itself,” Riddick said in a statement issued at the time. This article originally appeared at American Lens News on December 15, 2017. This entry was posted in Am Lens, CRIME, POLITICS NC and tagged Embezzlement, Laura Riddick, Wake County Register of Deeds. Bookmark the permalink.